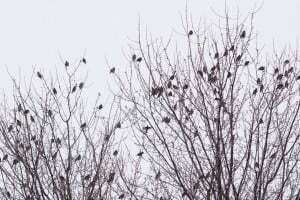 We spotted Bald Eagles (adult and immature) along the shoreline of the Otonabee River, just south of Lakefield, on two consecutive days. 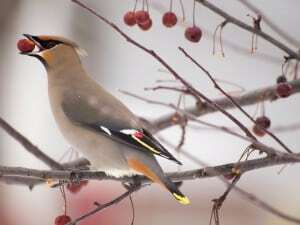 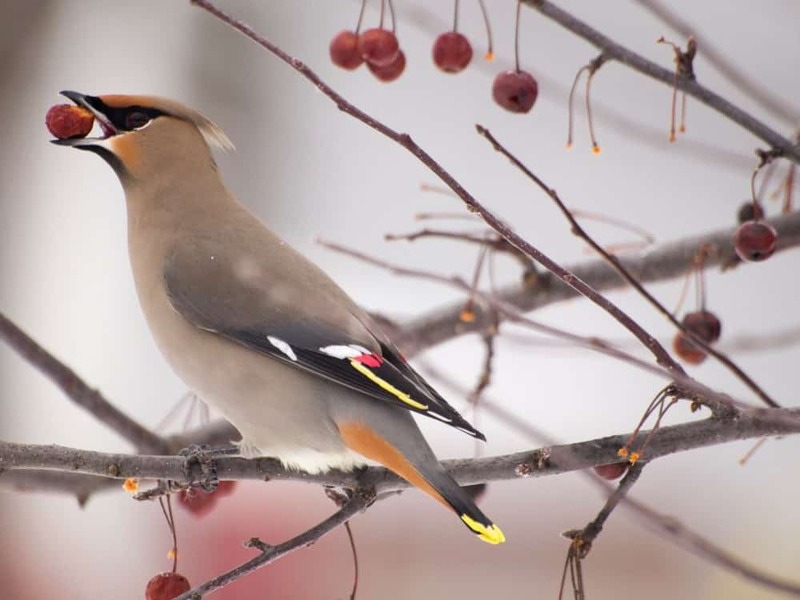 We also came across a flock of Bohemian Waxwings picking off the fruit from apple trees along the 15th line of Selwyn Township. 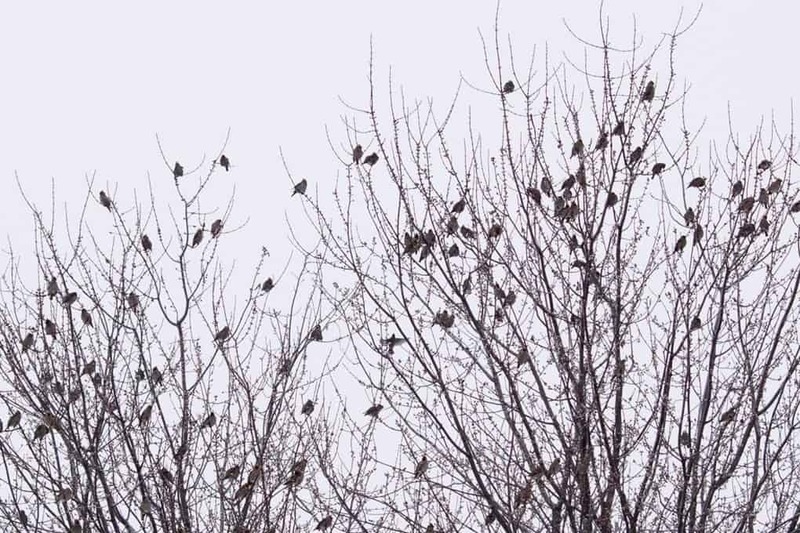 This flock of Bohemian Waxwings was seen on Cow Island, Ennismore, on January 24, 2016.